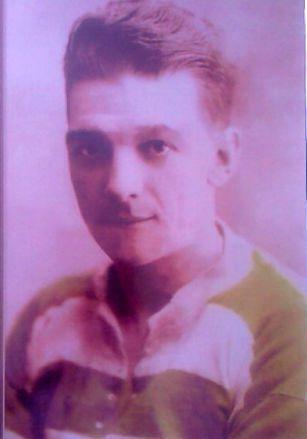 Ned Weir played for Belfast Celtic from 1926-29. He came from Sydney St just off the Shankill Road and started his football career with Junior side Brantwood FC before moving onto Westend FC (another Junior league side), which he captained until his move to Celtic in 1926. Better known as "Header Weir" he earned 6 Irish caps at Junior level. Ned played in the Celtic squad that brought a string of trophies in what were later to be known as the magical seasons of the late 1920s. 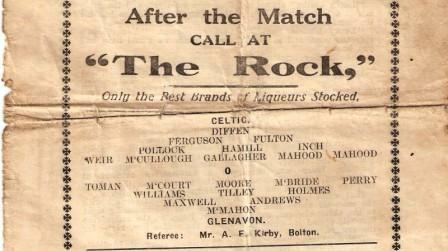 During a two year period (1927- 29) the Celtic team lost only one game out of 74 competitive matches. These were the glory years for Celtic. Two years previously in 1925, the team practically swept the boards starting their surge towards a record number of league championships in a row winning the Irish Cup, League Championship, Gold Cup, City Cup, and were joint holders of the Charity Cup (with Glentoran). 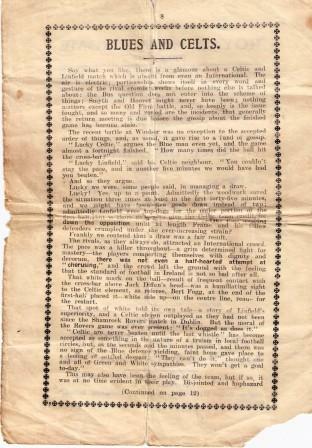 Another glorious season in 1926-27 led to Celtic winning the Irish League (without a defeat) for the second year in succession. The following season was marked by the third successive win of the League Championship. 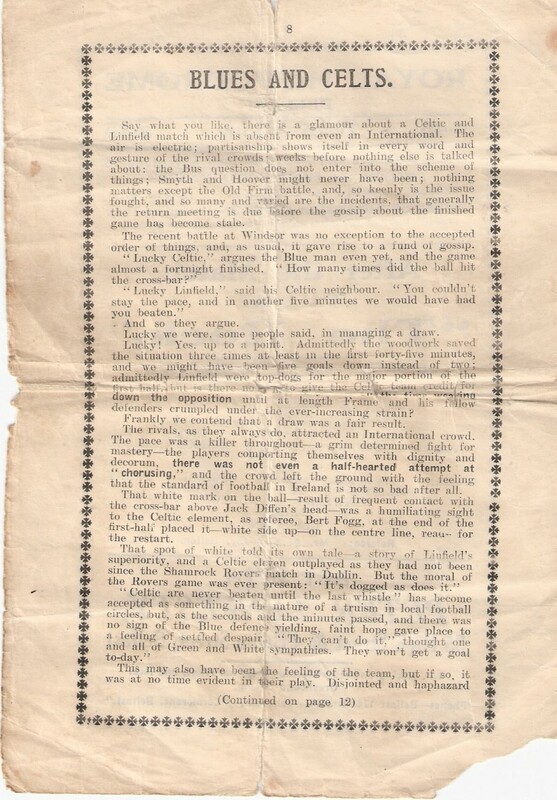 Author Mark Tuohy describes the 1928 - 1929 season as "perhaps the greatest feat ever in Irish football". Out of a possible fifty two points the Grand Old Team collected forty eight, scoring 116 goals and conceding only 23. Celtic finished this season without a single defeat and took the league title for a record breaking fourth year in a row. "Header Weir" went on to play spells with Coleraine and Dundalk. And are keen to win some more. Are the best halves in the land. Are the famous two Mahoods.